You know, I tend to get really fanatical when I have collections. Like I MUST OWN EVERYTHING NOW kind of thing, so I try to limit myself. I have a lovely collection of glass dip pens, and 6 or so mouse ear hats (4 of which are the traditional black. Kevin’s like “REALLY?”) but I have a hard time displaying those. 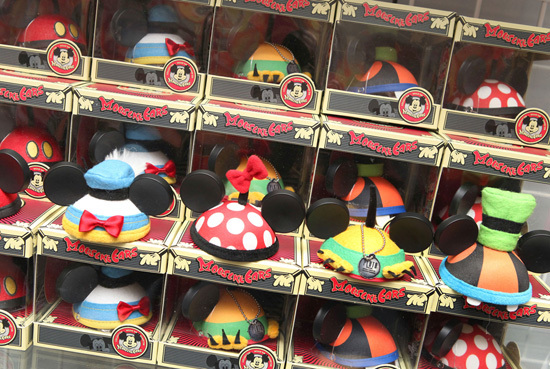 Vinylmation have never interested me. Pins, I own a couple, but I only buy the ones I really like , so I don’t trade. But now, Disney has struck to the very core of my being. Like a heart-tipped arrow of love shot by Mickey dressed up as a naked baby cupid (let’s not dwell on that image, okay?) straight through my heart. My heart has melted into a big puddle of somewhat unattractive goo. Kevin was like “Oh great, one more thing to collect dust” but you know, it doesn’t collect dust if you dust it on a regular basis! Of course, that would require me to dust on a regular basis so…Kevin has a point. Okay, two drawbacks. One is the name–MousekeEars. I’m assuming it’s pronounced like Mouseketeer but it’s got an awkward full stop in the middle there. I would have given them another name. Like Mini-Mouse Ears. You know, a play on Minnie Mouse? Plus descriptive and easy to say? Hmmm. The other problem is the price. $12.95 a pop. But look! 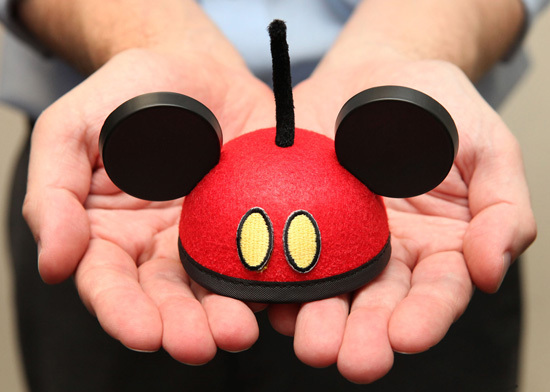 You will be mine, tiny little mouse ear hat. Tiny cute things are also my weakness-why can’t everything be in miniature?! But since I have a serious pin addiction(though I also don’t trade) I will try to resist the tiny cuteness…if I can!! They are adorable! I am the same way with pins… have a few that are particularly meaningful to me that I would NEVER trade away!!!! Where are these little beauties sold??? Oh no… I finally got my family to understand about the pins and they love them but…. how can I get them behind these beauties???? The picture looks like they already come in a clear plastic display box. I guess as long as you keep your tiny ears in the box, you will not have to worry about dusting them. For me, I actually have my collection of ears in an Ikea Billy bookcase with glass doors that keep the dust away. I have been eyeing those Billy bookcases for YEARS. I think they would be perfect for such a collection! I know how you feel. I think several of these will be coming home with me on our next trip! Or why not just go with “MouseketEars”? They are very cute, but I don’t have to fret over them because other than dust and clutter, I don’t really collect anything. 😛 Well, I do often save maps and informational flyers (I’m sure there’s a better word) from places we go, but I don’t really know why since I don’t do anything creative with them. My whole life I don’t think I knew that was how you spell dammit – I thought it would be damnit or damn-it but I suppose since I never type or write that exclamation it has never come up I guess. I’m sure I must have read it before but maybe just skimmed over it since it wasn’t in a bold heading. Always learn something new on MYWTM!! 😆 That’s me–MYWTM, educating spelling of mild expletives since 2011!